Each day you scroll through your phone, surrounded by successful and wealthy people in your inbox, social media, and within the articles you read. You look up to them and desire to be like them because they have money and business success, and although you might not be focussed on the cars or clothes (but maybe you are), you wish to stand shoulder-to-shoulder with them. You want to be on an equal footing, and this motivates you each day. It’s a difficult and tough fight, but I assure you you’re not alone. In fact, the majority of self-made people just like you (entrepreneurs, business owners, bloggers, artists, those seeking business success…) suffer through this same pain. Even the most successful individual envies a few other people, but having interviewed A LOT of successful entrepreneurs and business owners over the last few years (163 to be exact), I’ve discovered a few common traits that separate successful folk from everyone else. These are the traits that make successful people successful. When Jayson Gaignard lost it all and owed 750k in debt, he could have done the sensible thing and hoard whatever money he had left. 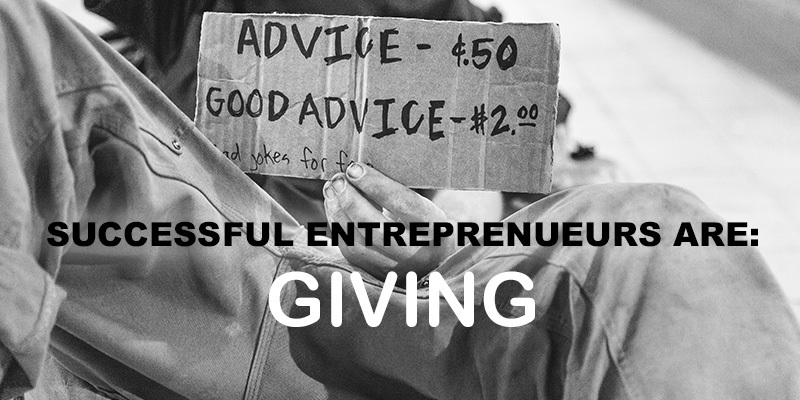 He didn’t do this, instead throwing rather lavish dinners for those he admired and looked up to, not asking for their help or sympathy, rather offering his help… his support… and connecting one influencer with another. “The bank could take my house and car, but not my relationships,” he said, and although this is a difficult thing to do when you’re suffering through hardship, it’s exactly this what successful entrepreneurs and business owners choose; they fight the urge to take in a bid to remain true to who they are. AJ Leon left his impressive Manhattan office with the aim to setup his own business and change the world. So… the day he realised he spent 80% of his time on client work, he tensed his fists and made a change. Although it meant turning down work and letting go of clients, it allowed him to build Misfit Inc into the business it needed to be. He refocussed and remembered what the vision and purpose of his work was. He made a tough and uncomfortable decision, but it’s this choice that lead him to business success and his life of travel, humanitarian projects, and living with a purpose. When Dan Miller lost his business and owed a bunch of money to the IRS, he could have hid in a corner with his tail between his legs. Instead, Dan insisted on letting those close to him in on his pain; asking for their help and reassuring them he would overcome his problems. 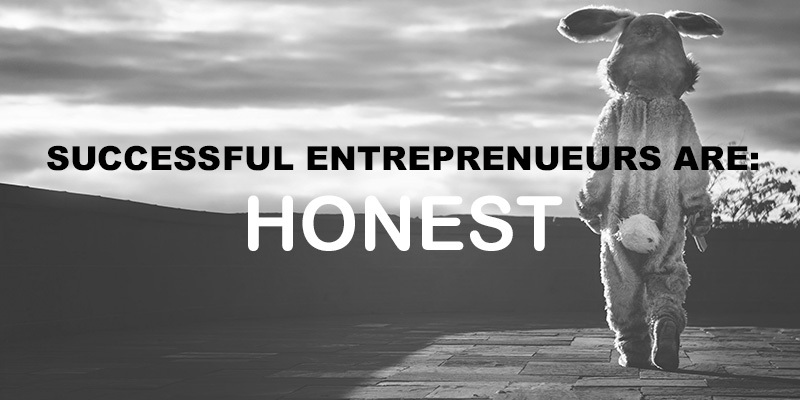 No business owner wishes to see their business fail or disappear, but no matter how painful or hard life is, successful people are honest and share this with others. If you desire to business success and to be happy and free, you must learn to let other people in – no matter how good or bad everything may be. 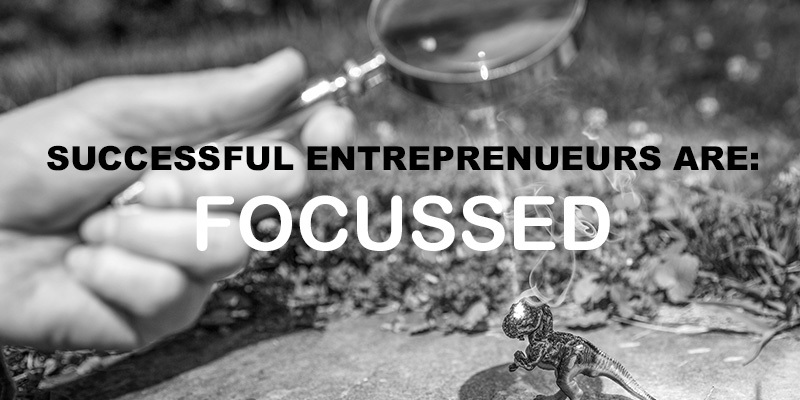 Marianne Cantwell setup her marketing business and did everything she was supposed to do in order to find success in business. She dressed up for the part, used the same language other successful folk in her field used, and acted in a professional manner at all times. Marianne also failed to get any clients whilst living this lie. Whereas once she embraced her personality, threw her style into everything she wrote, and refused to conform for the sake of conforming … she built Free Range Humans into what it is today. Somewhere along their journey successful people realise they CANNOT live in somebody else’s shoes. They appreciate they must become successful because of who they are, rather than despite it. That’s not to say they don’t fail or make mistakes, because I assure you they do. No matter how successful you become, you will always fail… you’ll always stumble… you’ll always mess up from time-to-time. BUT successful people don’t see failure as a failure; they appreciate it’s a lesson and stepping stone to far better business success. Through my research and writing for The Successful Mistake, this is one of the biggest takeaways I can share with you. If you wish to be successful, free, and live the kind of lifestyle those you admire do, you must be above failure. You must embrace it and accept it, and when you make a mistake, understand there’s an opportunity to transform a bad situation into your best idea yet. 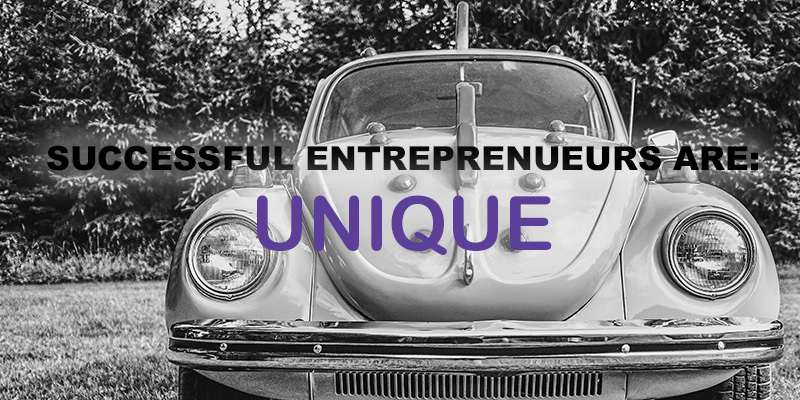 Of course, this is easy said than done, but don’t worry because that’s why I’ve written The Successful Mistake: to help emerging and up-and-coming entrepreneurs and go-getters like you spot your mistakes before they happen, overcome them if they do, and most important of all… transform them into SUCCESS. Because you can become the successful person you wish to become (however that looks to YOU). 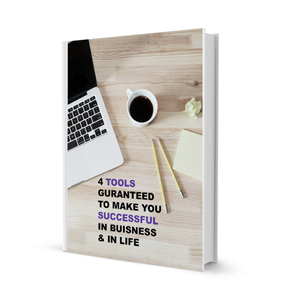 This is why I’ve written The Successful Mistake, but before you commit to the book you may like to take action TODAY — which is why I’ve written this short guide for you: 4 Tools Guranteed To Make You Successful in Business & in Life. It’s full of valuable content designed to help you build business success, but if you have any questions or would like chat, reach out to me on TWITTER or FACEBOOK.